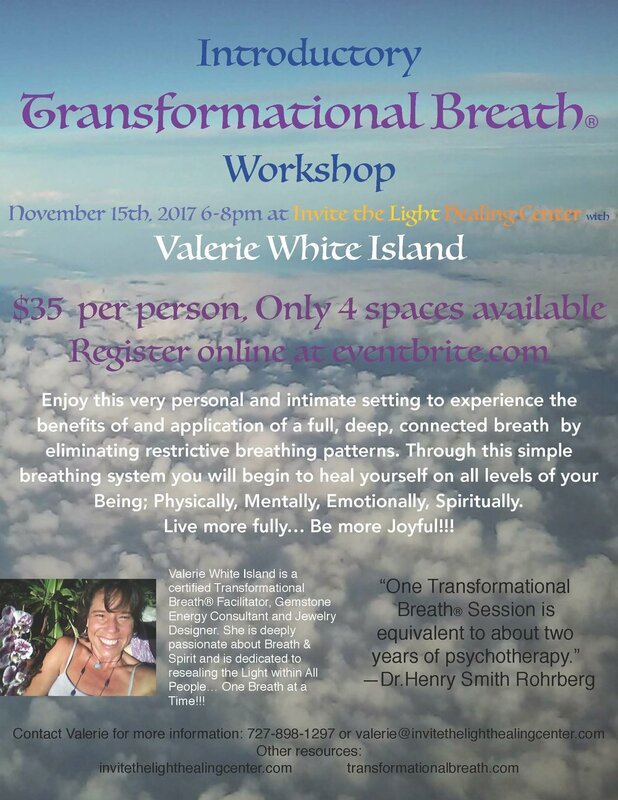 Enjoy this very personal and intimate setting to experience the benefits of and application of a full, deep, connected breathby eliminating restrictive breathing patterns. Through this simple breathing system you will begin to heal yourself on all levels of your Being: Physically, Mentally, Emotionally, Spiritually. $35per person. Only 4 spaces available.